He continually gives props to the genre forbearers and his formative inspirations such as Jodeci, K-Ci & JoJo, Jagged Edge, Michael Jackson, Boys II Men and more, but he’s holding it down for his era. Now, this claim sparked an internet-wide debate, inciting responses by everyone from John Legend and R. Kelly to Tank, Usher, Tyrese, and countless others. As a result, the newly minted royal star dominated the conversation and headlines. He backs up that claim with “Presidential”—the latest single from his collaborative album alongside Birdman, Lost At Sea 2, out now. The music video for “Presidential” lives up to its title as a regal display of high-class and high-level flash. It has already generated 1.5 million YouTube/VEVO views in addition to racking up 1 million-plus Spotify streams. Watch it HERE. 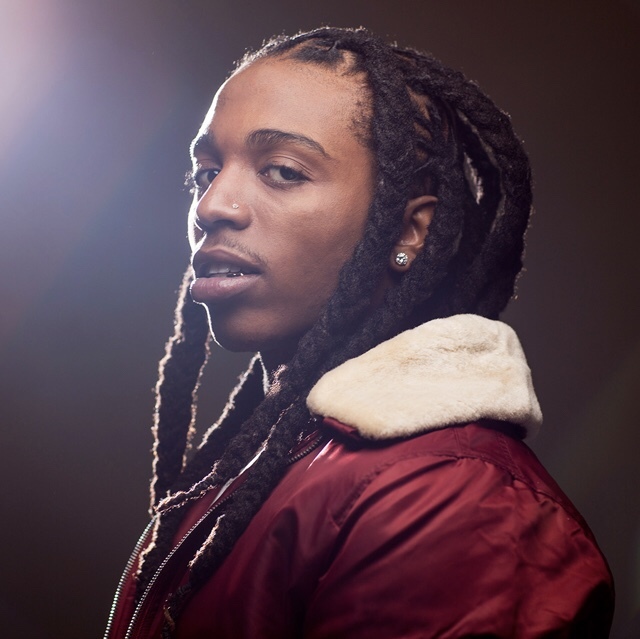 2018 closes as a banner year for Jacquees. Vibe described his full-length debut, 4275, as “glowing,” while its latest single “You” just eclipsed 10 million Spotify streams and 10 million YouTube/VEVO views. Not to mention, the album banger remains a Top 10 hit at Urban Radio. In November, he took over the stage at the Soul Train Awards and delivered a show-stopping performance of “You” and the multiplatinum hit “B.E.D.” Check out a re-cap from OkayPlayer. This entry was posted in Feature and tagged 360, 360 Magazine, album, apple music, B.E.D, collaborate, iTunes, jacquees, Jodeci, John Legend, K-Ci, King Of R&B, Madison Smushkevich, Michael Jackson, music, r&b, r. kelly, spotify, Tank, Tyrese, Usher, Vaughn Lowery, vevo, You, YouTube on December 17, 2018 by wp360mag. Lil Yachty announced that his forthcoming album Nuthin 2 Prove will be released on October 19. This will be his follow up project since Birthday Mix 3, and his Lil Boat 2 mixtape, which featured a slew of artists from Ugly God, 2 Chainz, Quavo, PnB Rock, Offset, Lil Pump, Trippie Redd, to Lil Baby and more. Additionally, this comes after Lil Yachty’s single “Who Want The Smoke?” which features Offset and Cardi B. Recently Lil Yachty has been filming his role for How High 2. Lil Yachty plays Roger, an entrepreneur and the younger brother of one of the protagonists from the original film. Per the official description by MTV, Roger and his friend go on a magical hash-fueled journey to fund their on-demand munchies delivery start-up. This past summer he made his big screen debut as the voice of Green Lantern in Teen Titans Go! To The Movies. Lil Yachty also recently collaborated with Donny Osmond for Chef Boyardee’s Start The Par-dee jingle. 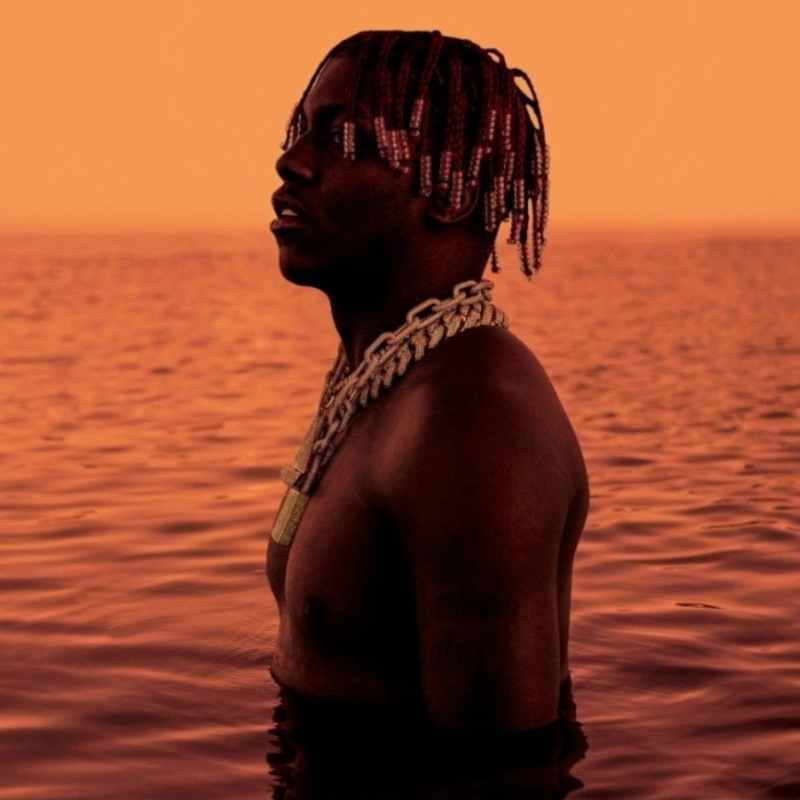 Lil Yachty, aka Lil Boat, aka “King of the Youth” is a 21-year old Atlanta native, a Grammy-nominated singer, rapper, producer, creative designer, branding genius and fashion icon who smashed onto the scene two years ago. Since then he accumulated nearly 3 billion streams, found himself on the covers of Paper and FADER magazines, as well as landing the cover of The New York Times Men’s Style section and a XXL Freshman cover. This entry was posted in Uncategorized and tagged 2 chainz, 360, 360 Magazine, album, artists, Atlanta, Atrin Yazdani-Biuki, Birthday Mix 3, branding, cardi b, Chef Boyardee, collaborate, creative designer, Debut, Donny Osmond, FADER magazines, fashion icon, film, Goodest Night, Grammy, Green Lantern in Teen Titans Go!, Gucci, Hip-Hop, How High 2, King of the Youth, Lil Baby, Lil Boat, Lil Boat 2 mixtape, lil pump, Lil Yachty, mtv, Noisey, Nuthin 2 Prove, offset, paper, Pitchfork, pnb rock, producer, Quavo, rap, rapper, Roger, Rolling Stone, singer, The New York Times, The New York Times Men's Style, The New Yorker, Trippie Redd, Ugly God, Vaughn Lowery, XXL Freshman, Yachty on October 14, 2018 by wp360mag. Multi-platinum Canton, OH, rapper and singer Trippie Redd releases his new album: Life’s A Trip” which includes his latest track “Taking A Walk” produced by Scott Storch (10K Projects/Caroline). On his own terms, 19-year old Trippie Redd has impacted hip-hop culture being named rap’s next Rockstar by XXL, Mass Appeal, Pigeons & Planes, and Noisey. In addition to generating 1.2 billion-plus streams, he was named Spotify “Rise Artist,” “Artist to Watch” by Rolling Stone, and landed on the cover of the 2018 XXL Freshman Class. His singles “love scars” and “Dark Night Dummo” [feat. Travis Scott] are RIAA certified platinum. His songs “Poles 1469” and “Bust Down” are certified gold. He has collaborated with everyone from Travis Scott, Diplo, Julia Michaels, Lil Yachty, D.R.A.M., Alison Wonderland, Rising and Rich The Kid. Trippie’s breakout mixtapes “A Love Letter To You” and “A Love Letter To You 2.” hit the stratosphere in 2017. Praised for his lyrics as well as his style, he chronicles love and heartbreak from the streets and experience. 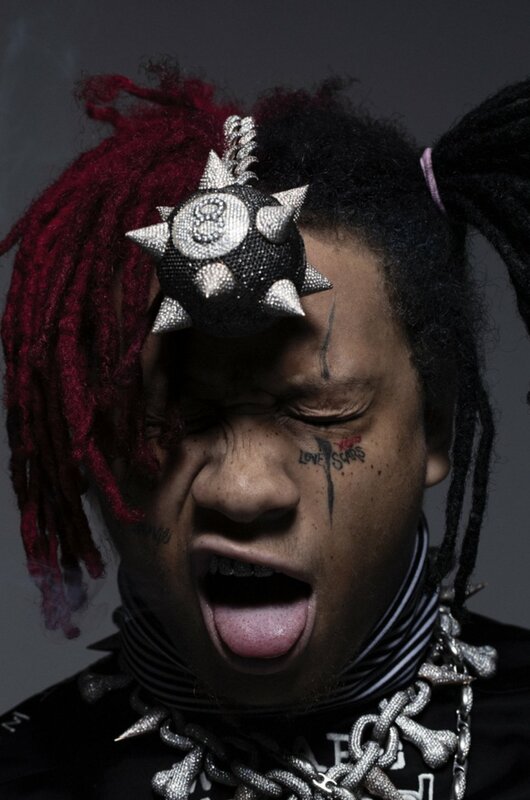 Trippie became serious upon becoming a rapper upon encouragement from his older brother. Trippie Redd would later get a scar tattoo on his face to honor him after died in road accident in 2014 –pushing Trippie to work harder on his music. He grew up being raised by his single-parent mother (his father was incarcerated since Trippie’s birth). 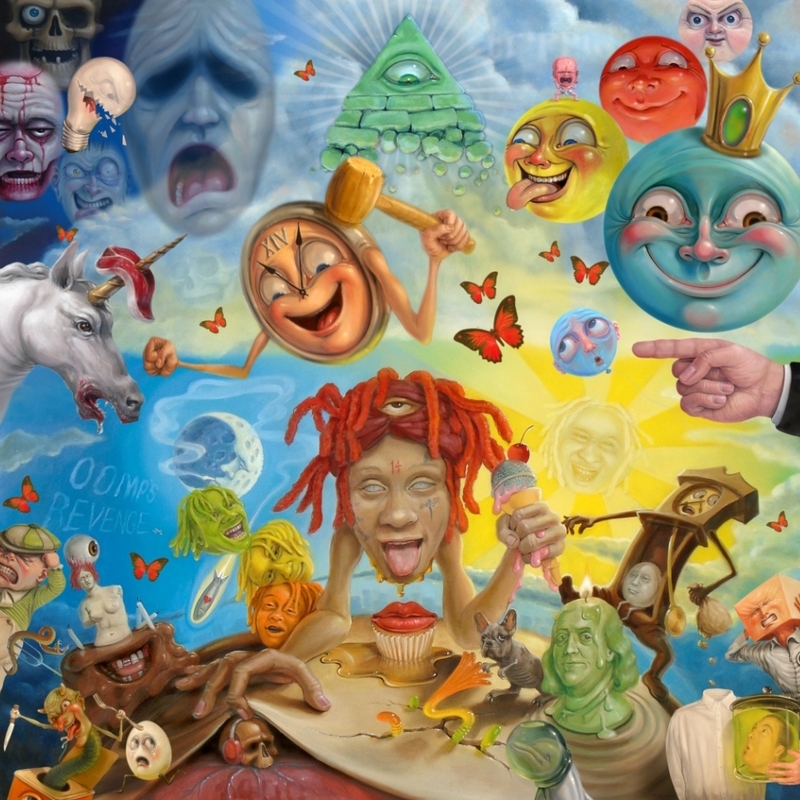 “Life’s A Trip” continues to share Trippie’s eccentrically-wild world as seen through Trippie’s eyes. He finds influences from Gorillaz, Erykah Badu, Drake, Marilyn Manson, Tupac, Nirvana, and Lil Wayne (among others). This entry was posted in Uncategorized and tagged 2018 XXL Freshman Class, 360, 360 Magazine, A Love Letter To You, a love letter to you 2, album, alison wonderland, Atrin Yazdani-Biuki, brother, Bust Down, Canton, collaborate, D.R.A.M., Dark Night Dummo, diplo, Drake, erykah badu, gorillaz, Julia Michaels, Life's A Trip, Lil Wayne, Lil Yachty, love scars, Marilyn Manson, mixtape, music, nirvana, OH, Poles 1469, rap, rapper, rich the kid, Rising, road accident, rockstar, Rolling Stone, scar, singer, singles, songs, tattoo, tracklist, Travis Scott, Trippie Redd, tupac, Vaughn Lowery on August 12, 2018 by wp360mag. In a city often oversaturated with musicians of every genre constantly performing and creating, it takes a special group of artists to truly stand out amongst the crowd that produce a truly unique sound, and New York City’s All Types of Kinds truly live up to the namesake. All Types of Kinds (or ATOK) plays a wide variety of music ranging from rock to pop, folk, punk, funk, hip-hop, blues, jazz, and country – even sometimes all at once. The members come from diverse backgrounds that make for an amalgamation of musical textures and vibes. 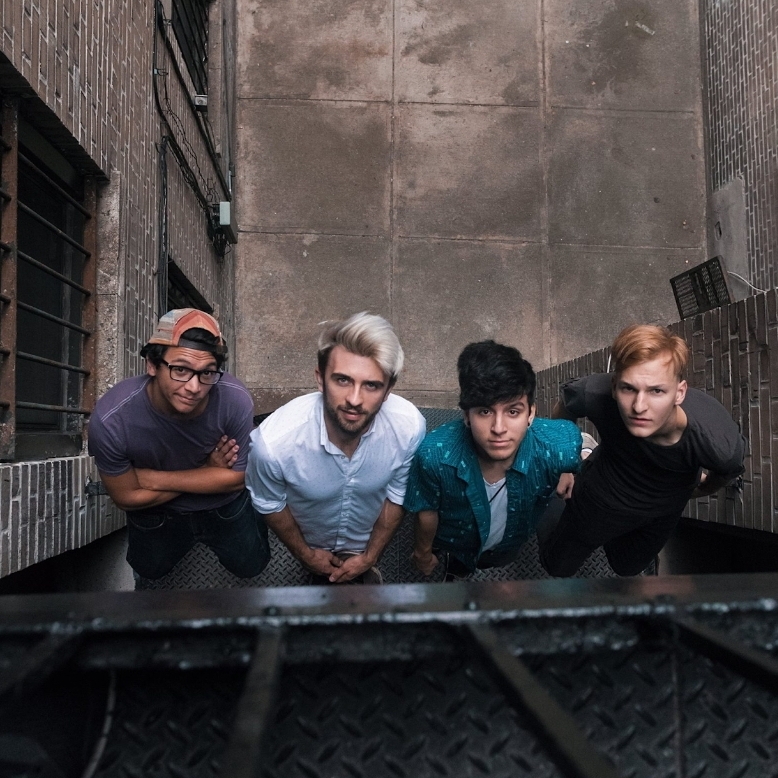 Their EP, “Love Songs (Or Songs For Your Ex)” debuted on Valentine’s Day 2018 and they are currently gearing for dates all over the country. The band consist of Ray Rubio (Guitar), Billy Conahan (Guitar), Berk 0 (Percussion), and Rocco Stroker (Guitar) – all of whom have unique musical backgrounds. Ray, 20, a multi genre artist and singer/songwriter, hails from Harlem NY and has also been on stage from young age, mainly theater productions. Ray attended the American Academy of Dramatic Arts in 2014, and since then has been performing his music in the New York Metro Area and Richmond, Virginia. Billy, 25, is a queens native whose been on the stage since his early teens as a stand-up comedian, singer/songwriter folk artist playing his own folk tunes as well as cover tunes. Berk O, singer and percussionist, is from Brooklyn and also contributes to the band’s songwriting process, while Rocco is the newest member of the band – playing bass, guitar and as an incredible vocalist. He hails from New Fairfield, Connecticut. These recent “Your Big Break” contest winners who’ve been praised for their “polished precision, sweet harmony, musicianship, artistry, versatility and originality in their smart lyrics” are ready for the big time. That time is now. This entry was posted in Uncategorized and tagged 360, 360 Magazine, All Types of Kinds, American Academy of Dramatic Arts, artist, artistry, ATOK, Atrin Yazdani-Biuki, audio, band, bands, bass, Berk 0, Berk O, Billy, Billy Conahan, blues, boy band, Brooklyn, collaborate, Colorblind, connecticut, country, Debut, folk, folk artist, folk tunes, Funk, guitar, Harlem, harmony, Hip-Hop, jazz, Keep In Touch, love songs, lyrics, music, music video, musicians, musicianship, New Fairfield, New York Metro Area, ny, nyc, percussionist, pop, Punk, Ray Rubio, Richmond, Rocco, Rocco Stroker, rock, singer, Songs For Your Ex, songwriter, songwriting, sophomore, stand-up comedian, Theater, Valentine's Day, Vaughn Lowery, Video, Virginia, vocalist on August 10, 2018 by wp360mag. Let’s talk about your single “Boys Like You” – Can you tell us a bit about the song and the creation/recording process? I love the creative process of writing songs, you never know what you are going to get when you go into the studio. “Boys Like You” was not really something I planned. It came out of a very personal experience. I was in a pretty unhealthy relationship where no matter how badly I was being treated, I kept going back. Once I realized it and that I didn’t need him anymore, I got out! Writing the single “Boys Like You” is actually what helped me to get OUT of that bad relationship. I really wanted to share the experience because so many girls may be going through the same thing. The song really has an empowering message and I’m so excited by the support and reaction it has been getting. Can you share about the kinds of songs you write and what motivates you when you’re writing a song? All aspects of my life give me ideas for songs. Things my friends are going through, things I see at the movies or events that are going on in the world, even a conversation I have with someone can spark an idea for a new song. My songs are like my personal diary I just let the world see. Lately I have been writing really happy songs and songs that I think are empowering to woman today. My sound is definitely a little more on the pop side. Honestly, I just love to create music so I don’t usually put a box on my sound, I sort of let it figure itself out. Which artists are you looking up to now? My music taste changes all the time. Currently I really like Ed Sheeran, because of the way he writes his music and does his live performances. It’s very acoustic and feels very real. Camila Cabello is another artist who I really like her sound and her independence. She seems authentic and like that she’s her own person. And also, Halsey because she is just so dope and I would love to sing with her someday. If you could collaborate with any other artist, who would it be? That’s a really hard question because there are hundreds of people I could pick, but right now I would probably choose Ed Sheeran. I’m so intrigued on his writing styles and how authentic he is, so I think it’d be so cool to experience a session with him. What can fans be expecting from you in the near future? Definitely new music on the way! I’ve filmed music videos for some of my new material that I’m really excited to be released. And I have a few surprises coming as well! What do you like to do for fun when you’re not in the studio? I recently got my driver’s license so this summer my friends and I have spent a lot of time at the beach. I really love hanging with my friends and being a normal teenager. Rayla is an impressive, emerging singer/songwriter who is making waves in the music industry. Handpicked to open for the likes of Daya, Olivia Holt and Jana Kramer, this 17-year-old’s fresh, unique sound delivers songs that are packed with relatable lyrics. Her debut single “Boys Like You” has received an overwhelmingly positive response. She loves to be able to put her own original stamp on the music she creates, as evidenced both in her covers of popular songs, and in her original music. As a toddler, Rayla would find any stage on which to perform, including on top of her family’s dishwasher. Writing her first song at the age of five, Rayla credits Halsey, Camila Cabello, Taylor Swift, and Ed Sheeran to be major influences to her career. Music has always been a dominate part of her life and she is eager to make her own imprint in the music scene. This entry was posted in Uncategorized and tagged 360, 360 Magazine, album, artists, Atrin Yazdani-Biuki, Boys Like You, camila cabello, career, Celebrity, collaborate, covers, daya, Debut, Debut Single, dishwasher, ed sheeran, Halsey, lyrics, music, music scene, music video, MV, Olivia Holt, perform, Q&A, Rayla, record, recording, relationship, singer, social media, song, songs, songwriter, Taylor swift, teenager, toddler, Vaughn Lowery on July 29, 2018 by wp360mag. 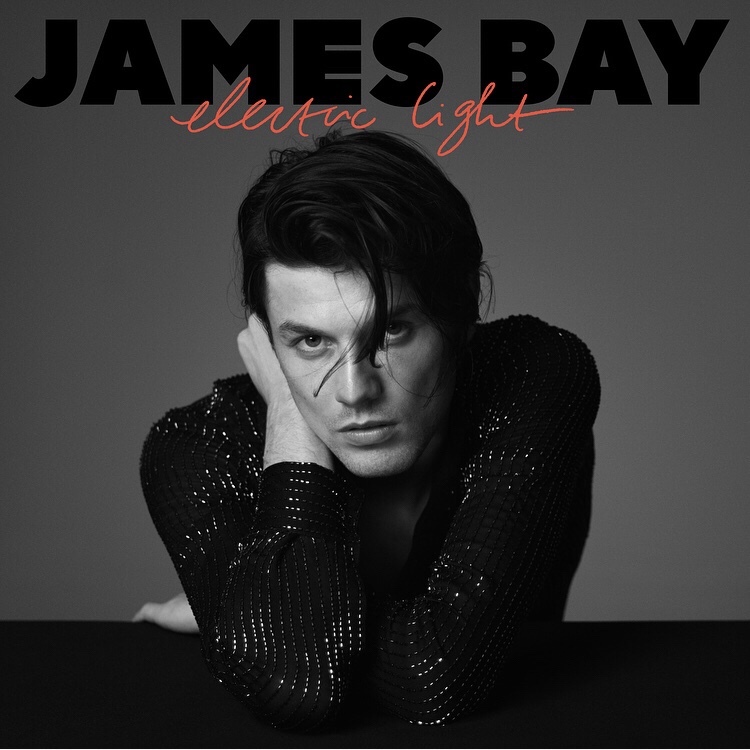 Three-time GRAMMY® Award-nominated and BRIT Award-winning multiplatinum singer-songwriter James Bay will release his anxiously awaited second full-length album, Electric Lighton Friday, May 18, 2018 via [Republic Records]. Full track list below as well as the album pre-order Here! Starting today fans can pre-order Electric Light which will unlock an instant download of critically acclaimed single “Wild Love” and brand-new track “Pink Lemonade.” Premiering as Apple Music Beats 1“World Record” today, “Pink Lemonade” illuminates another shade of Electric Light – showcasing Bay’s evolution with a louder sound and transistor guitars. The song comes out right in time for his NBC Saturday Night Live debut performance on Saturday, March10th with host Sterling K. Brown (This Is Us, Black Panther). 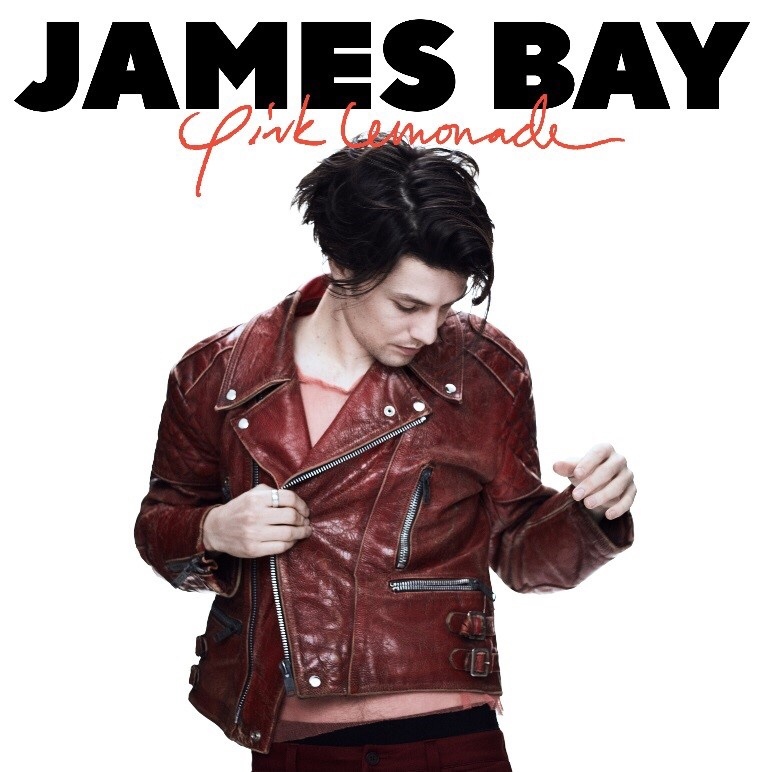 Check out “Pink Lemonade”Here! After selling out his spring headline tour, Bay is also announcing details for his expanded North American and European run. Adding nearly 30 new dates, the tour takes Bay across North America and Europe making stops at New York’s Beacon Theater on September 18th and Los Angeles’The Greek Theatreon October 7th. Fan pre-sale for these newly added shows will begin on Wednesday, March 14th at 10am local time, with the public on-sale taking place on Friday, March 16th at 10am local time. Fans can gain access to pre-sale tickets with purchase of any item from shop.jamesbay.com and every pair of online tickets comes with a copy of Electric Light (offer valid for US residents only). Tickets can be found at www.jamesbay.com. Composed in East London’s Baltic Studios, Bay co-wrote and co-produced Electric Light with longtime friend and collaborator Jon Green and brought onboard Paul Epworth [Adele, Florence and The Machine] to add final production elements to the record. Released on February 8th, single “Wild Love” has already reached 10 million Spotify streams and counting in addition to racking up nearly 3 million views from its official music video co-starring Natalia Dyer of Stranger Things. Watch the “Wild Love” music video here. Across the globe it has earned widespread critical acclaim from NME,Forbes, Harpers Bazaar, Time, GQ UK,Rolling Stone, People, Clash, Billboard, and more. Be on the lookout for more news from BAY and pre-order Electric LightHERE via Republic Records. James Bay is the definition of a modern day rock star. Following the release of his debut album Chaos And The Calm, featuring—“Hold Back The River” and “Let It Go”— BAY was nominated for “Best Rock Album,” Best Rock Song,” and “Best New Artist” at the 2016 Grammy Awards. In the UK, the record became the “Biggest New Artist Album Release” that year and has been certified Gold in the United States, Germany, Australia, Switzerland, platinum in Canada, Ireland, Netherlands, Sweden, double platinum in the UK and has sold nearly 3.5 million albums in global consumption, and 2.7 billion streams worldwide. Receiving the BRIT’s Critics Choice award in 2015, BAY has gone on to receive a win for “Best Male Solo Artist” at the BRITS, International Newcomer at the ECHO Awards, “Best New Act” & “Best Solo Artist” at the Q Awards, “Most Performed Work” at the Ivor Novello Awards and was nominated for “Best New” & “Best PUSH” at the MTV EMA’s and a MTV VMA for “Best New Act.” On the other side of the globe, he has received a nod for “Best International Artist” at the ARIA Awards in Australia. In addition to selling out shows and performing at festivals across the globe, BAY lent a new version of his song “Running” for the 2016 Sports Relief charity, is an advocate for the international non-profit Wateraid, designed his own signature line for Topman, and Epiphone created the Limited Edition James Bay Signature “1966 Century” Guitar in his name. A division of Universal Music Group, the world’s leading music company, Republic Records is home to an all-star roster of multi-platinum, award-winning legends and superstar artists such as Ariana Grande, Aminé, Black Sabbath, DNCE, Florence + the Machine, Gotye, Hailee Steinfeld, James Blake, James Bay, John Mellencamp, Jordan Smith, Julia Michaels, Keith Richards, Kid Cudi, Liam Payne, Marian Hill, Of Monsters and Men, Post Malone, Seth MacFarlane, Stevie Wonder, and more. Founded by brothers and chief executives Monte and Avery Lipman, it is also comprised of innovative business ventures, including American Recordings (The Avett Brothers, Towkio), Boominati Worldwide (Metro Boomin), Brushfire (Jack Johnson), Casablanca Records (Giorgio Moroder, KUNGS, Tïesto), Cash Money (Drake, Lil Wayne, Nicki Minaj), Hollywood Records (Sofia Carson, Zendaya), Lava Records (Greta Van Fleet, Jessie J, Lorde), Monkeywrench (Pearl Jam), XO (The Weeknd), Roc Nation (Belly, Justine Skye, The Dream), Tuff Gong (Damian Marley), Victor Victor Records (D Savage, Ski Mask The Slump God), among others. Republic also maintains a long-standing strategic alliance with country powerhouse Big Machine Records (Taylor Swift), and Universal Music Latin Entertainment (Luis Fonsi, J Balvin). In addition, Republic has expanded to release high-profile soundtracks for Universal Pictures (Fifty Shades of Grey, SING), Fox TV (Lee Daniels’ STAR), and NBC TV (The Voice), as well as other notable film and television franchises. This entry was posted in Uncategorized and tagged 2018, 360, 360 Magazine, Adele, Albert Hall, album, American Recordings, Amine, Amsterdam, Apple Music Beats 1 World Record, Aragon Ballroom, arts, Ascend Amphitheater, Atlanta, Avery Lipman, Baltic Studios, BC, Beacon Theater, Belasco Theater, belly, Berkeley, berlin, Big Machine Records, billboard, black panther, Black Sabbath, Blue Hills Bank Pavilion, Boominati Worldwide, Boston, Bristol, Brit award, Brixton Electric Seattle, Brooklyn, Brooklyn Steel, Brushfire, ca, Cambridge, Casablanca Records, Cash Money, Chelmsford- Hyland Park, Chicago, clash, Coca Cola Roxy Theatre, collaborate, collaboration, Colston Hall, Corn Exchange, critically acclaimed, D Savage, Damian Marley, Danforth Music Hall, De Montfort Hall, Debut, Detroit, DNCE, Doug Mitchell Thunderbird Sports Centre, Drake, Durham, Durham Performing Arts Center, East London, Electric Light, Elysee Montmartre, europe, fifty shades of grey, Florence, Florence + the Machine, Forbes, Fox TV, ga, Giorgio Moroder, Glasgow, Gotye, GQ UK, Grammy award, Grammy nominated, Greta Van Fleet, Hailee Steinfeld, Hannah Audrey Lowe, Harper's Bazaar, hollywood records, Huxleys, il, Isle of Wight Festival, j balvin, Jack Johnson, James, James Bay, James Blake, Jessie J., John Mellencamp, Jon Green, Jordan Smith, Julia Michaels, Justine Skye, Keith Richards, Kid Cudi, KUNGS, lava records, Lee Daniels, Leicester, Liam Payne, Lil Wayne, Lincoln Theatre, London, Lorde, Los Angeles, Luis Fonsi, ma, manchester, Marian Hill, Masonic Temple Theatre, May 18, Melkweg, METRO BOOMIN, mi, Minneapolis, mn, Monkeywrench, Monte Lipman, multiplatinum, Nashville, Natalia Dyer, nbc, NBC TV, nc, New York, Newcastle, Nicki Minaj, NME, North america, ny, O2 Academy, Of Monsters and Men, on, OR, pa, Paramount Theatre, Paris, Paul Epworth, Pearl Jam, Penn’s Landing – Festival Pier, people, Philadelphia, Pink Lemonade, Portland, Post Malone, pre order, pre-sale, Radio 1 Biggest Weekend, Republic Records, RIZE Festival, Roc Nation, Rolling Stone, Rose Garden - The Ariana Grande, Royale NightClub, Salt Lake City, San Francisco, Saturday Night Live, Seattle, Seth MacFarlane, Sheffielld, SING, singer songwriter, single, Ski Mask The Slump God, sofia Carson, Spencer Williams, spotify, star., State Theatre, Sterling K. Brown, Stevie Wonder, Stranger Things, stream, SWANSEA, Taylor swift, The Anthem, The Avett Brothers, The Dream, The Fillmore, The Greek Theatre, The Machine, The Roundhouse, The Showbox, the voice, The Weeknd, Theatre of Living, This Is Us, Tiesto, Time, tn, Toronto, Towkio, track, TRNSMT Festival, Tuff Gong, Union event Center, Universal Music Latin Entertainment, universal pictures, ut, Vancouver, Vaughn Lowery, Victor Victor Records, WA, Washington D.C., Wild Love”, Woodbine Park, xo, zendaya on March 9, 2018 by wp360mag.